Fly Ash Brick Making Machine..
We Offer Fly ash brick plant with maximum and quality output with brand name of Mainco. 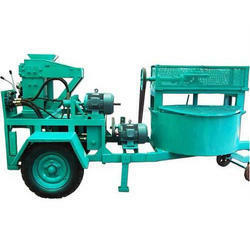 Our machines are maintenance free and long lasting in various ranges and capacity. We offer best competitive prices in the Indian Market for Semi Automatic and Automatic machines. We have machines with capacity of 4 bricks, 8 bricks, 12 bricks. 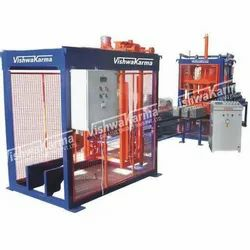 Prominent & Leading Manufacturer and Exporter from Pune, we offer Fly Ash Brick Making Machines such as High Pressure Fly Ash Brick Making Machine (SVCBM- 1) and High Pressure Center Press Fly Ash Brick Making Machine. Interlbock Brick Making Machines: We are also engaged in manufacturing high quality Interlbock Brick Making Machines used for manufacturing various types of bricks like solid, block, bricks galore and interlocking pavers. These are based on hydraulic operation and run on electricity. Star Bricks & Blocks Co.